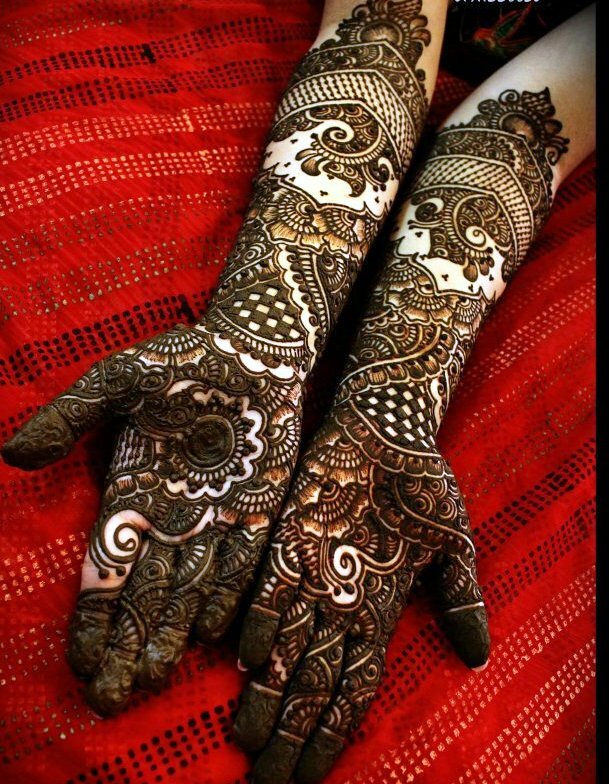 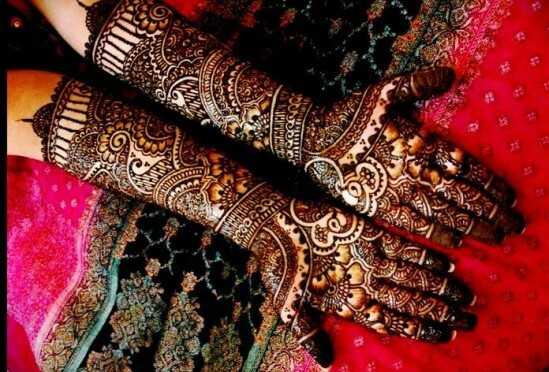 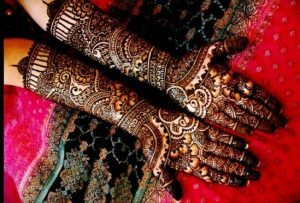 Mehndi or henna is an important part of wedding tradition in countries like India, Pakistan and Bangladesh. 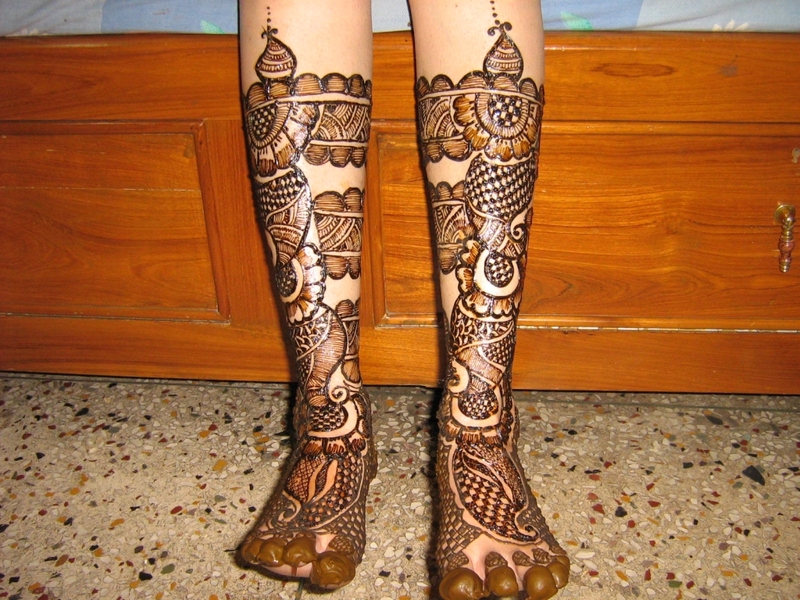 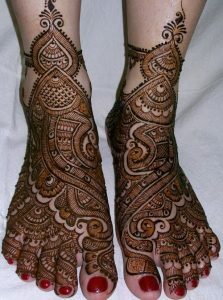 The palms and feet of the bride are adorned with intricate patterns, generally made using Mehndi cones, with the ritual being one of the main pre-wedding ceremonies. 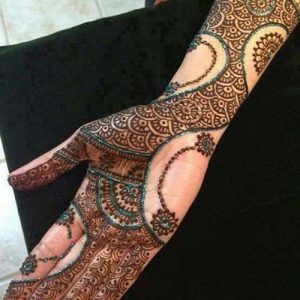 Now it is common for brides to look for unique mehndi designs that are a fusion between the traditional and modern patterns. 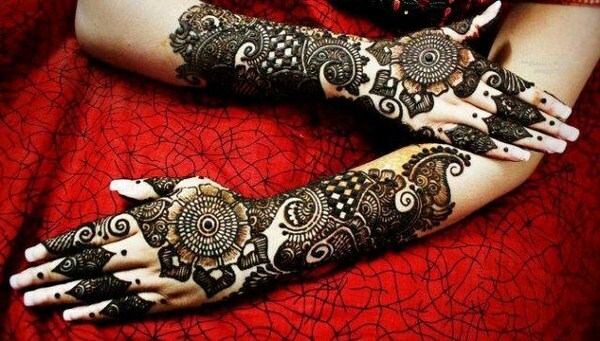 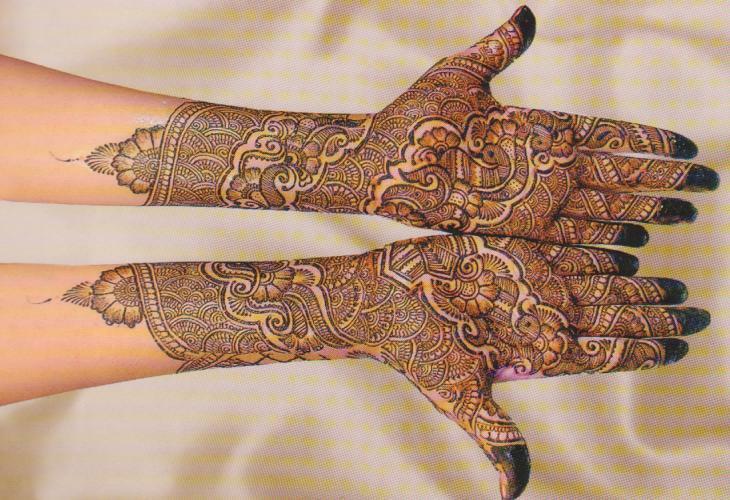 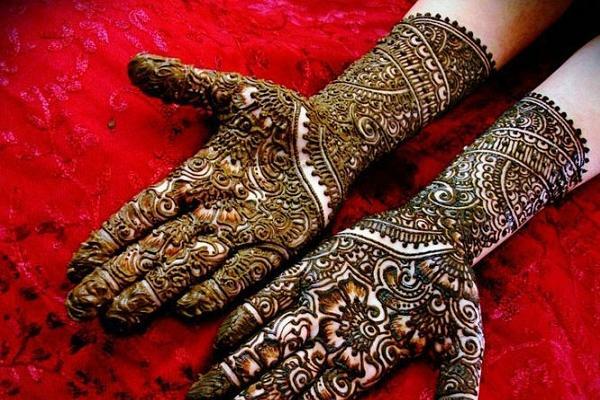 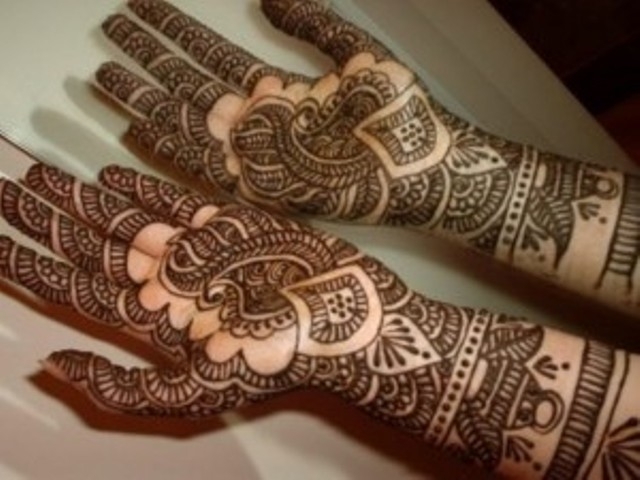 When it comes to bridal mehndi designs for hands, there is no bound to creativity. Complicated patterns with neat detailing are the main characteristic of bridal mehndi. You can go for the same design for both hands while different yet matching patterns for the two hands look more innovative. 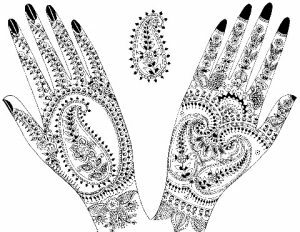 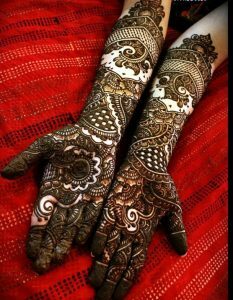 While most brides opt for gorgeous mehndi that extends from the hand to the entire forearm, some prefer shorter designs that end below the palm. 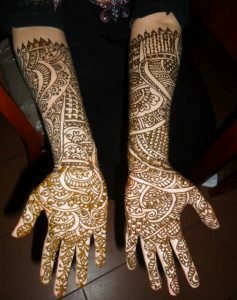 The fingertips are commonly tainted with solid color for a more striking effect. 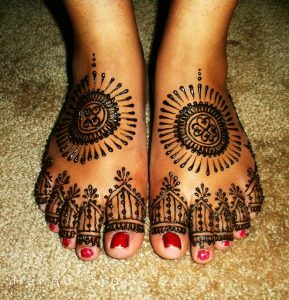 Vines, flowers and paisley patterns are predominant in the traditional henna designs. 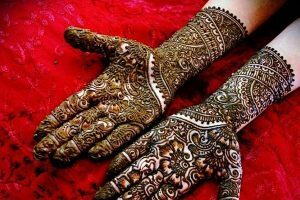 Every bride wants to look elegant in her traditional attire, while also keeping a touch of modern fashion on her wedding day. 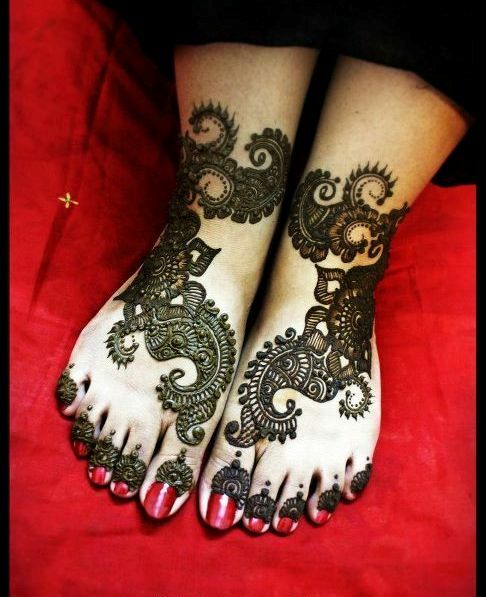 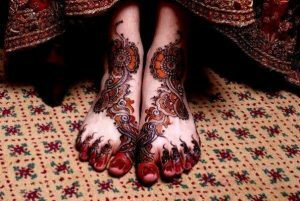 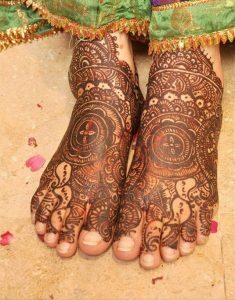 Adorning your feet, as well as your hands, with mehndi gives you a bridal makeover as you go with the rituals of a traditional wedding. 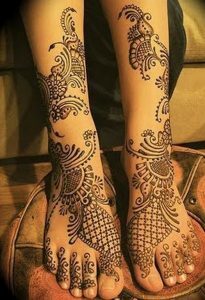 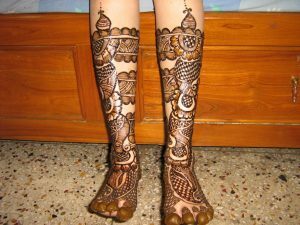 There are simple designs meant for the foot and toes, while you can also pick from the elaborate patterns extending up the leg toward the knees. 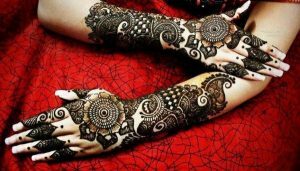 It has become a common fashion to combine the traditional henna mud with other colors, sparkles and even stones for an even gorgeous effect. 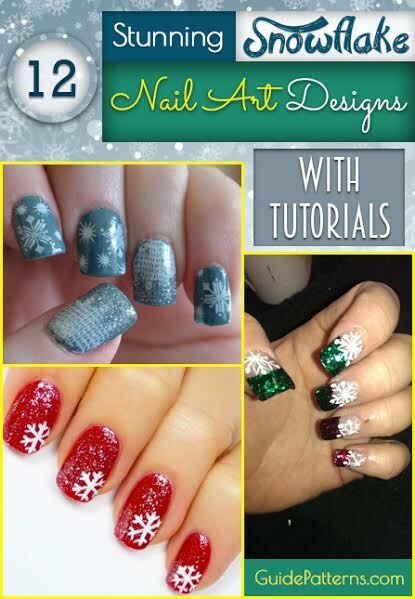 You can pick any of the above patterns you like, or you may choose to combine two or more of the designs for a unique and customized one that suits your personality.